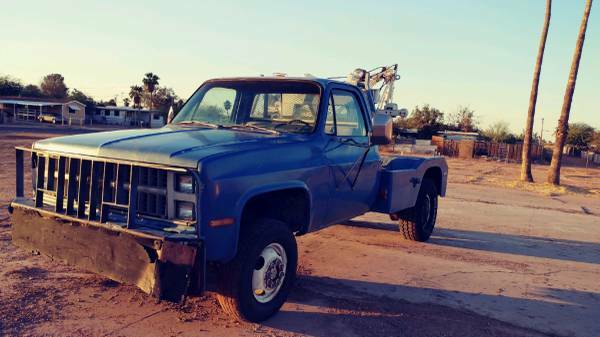 1979 Chevy 4X4 Dually Tow Truck, Holmes 480 boom wrecker. 350, 4 speed, factory A/C, NO Rust, Some ’82 conversions have been done. The truck runs and drives, the PTO works and the equipment operates. The truck needs a lot of TLC and has been parked for quite some time. We’ve got it up and running if you want to check it out. Trades?